Heroku Review apps idle life span (TTL) before self-destruction is now user-settable. 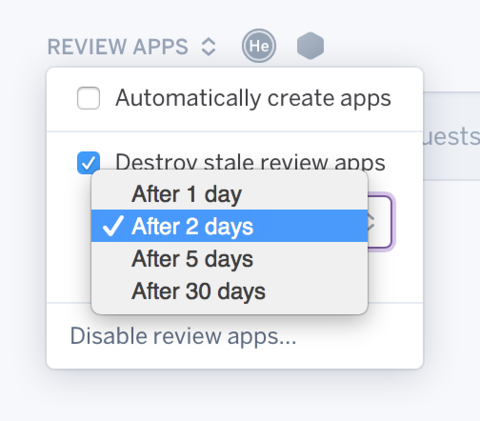 Administrators of Pipelines owned by Heroku Teams, and individuals who own a Pipeline, can now select the time limit for stale Review apps before each Review app self-destroys. Previously this time was fixed to five days. “Stale” Review apps are those apps whose associated Pull Request has not been updated in the specified time period. More on Heroku Review apps can be found here on the Heroku Dev Center.